Recently, the Viking Explorers took a trip to the Port Washington Yacht Club to try out their robots for the very first time. What is the Viking Explorers, you ask? Read more to find out! The Viking Explorers are a group of 8th graders taking an Underwater Robotics elective. For two weeks, the two classes (including myself) spent their mornings drilling, cutting, soldering, and more. From drilling into PVC Piping to soldering about 20 different parts of a circuit board to everything in between, these students have been through a LOT. The hard work and effort paid off though. But on October 15th, our robots were finally complete. Our field trip consisted of about three goals: making sure our robots were neutrally buoyant, completing the obstacle course, and having a ton of fun. I’m happy and proud to say that all of these goals were completed (especially the last one). The obstacle course consisted of several different challenges for our robot to go through. First, you had to duck under a hurdle-shaped PVC structure. Then, you had to go over one. Under again, then touch the pool wall. And come back. It may not seem that difficult, but when your robot only has three motors (left, right, and up/down), and four buttons and switches (up,down,left,right), you have to combine a bunch of movements together in order for the ROV to work properly. Even to the best of gamers out there, trust me, it was hard. The fastest time was around 57 seconds! Good work team!! 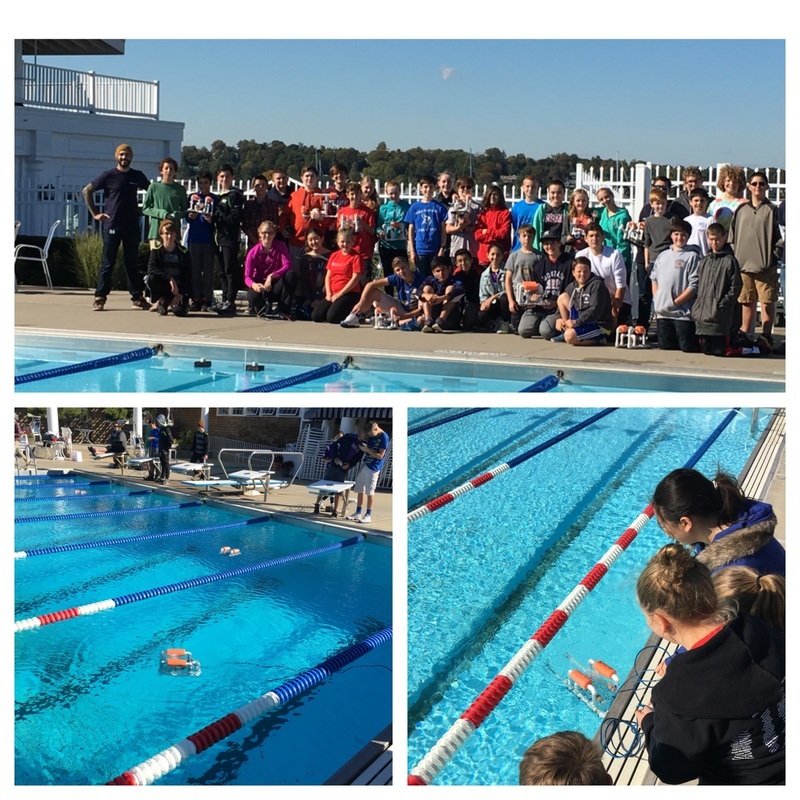 Not only were we able to pilot our ROVs successfully (along with capture exclusive footage of the obstacle course and the bottom of the pool), but we were also able to have a great time. From the obstacle course to the approximate 4 pounds of Swedish Fish, everyone left that pool in a great mood. I anticipate our next trip to explore the world unknown. For all of the 6th and 7th graders reading this, I strongly suggest for you to take this course in the future. It may seem like a waste of time to explore underwater to some (it’s just water–what’s the big deal?) but there’s so much more to discover. Most of our major bodies of water are yet to be discovered! If you take this course, not only will you enhance your carpentry skills, but you’ll also get a chance to seem some amazing marine wild life. If you’re as eager as I am to explore the ocean blue, take this course! Also, for some exclusive footage, take a look at our website! And remember, ADVENTURE IS OUT THERE! Next articleCharity’s Sake or Charity Mistake?